An institute is as good as its team. 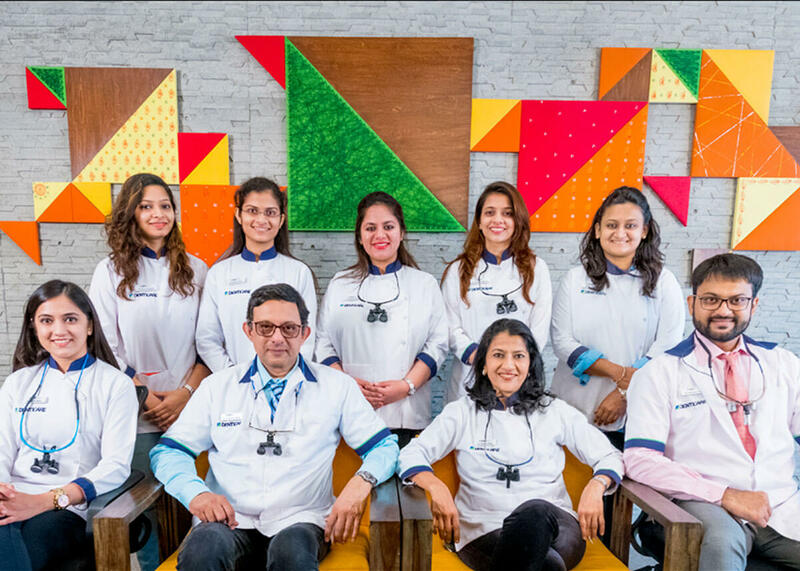 We are proud to have a world class team of 15 in house & visiting doctors catering to all branches of dentistry including Periodontics, Implant Dentistry, Cosmetic Dentistry, Orthodontics, Endodontics, Pedodontics, Prosthodontics, Oral Surgery and Oral Pathology. 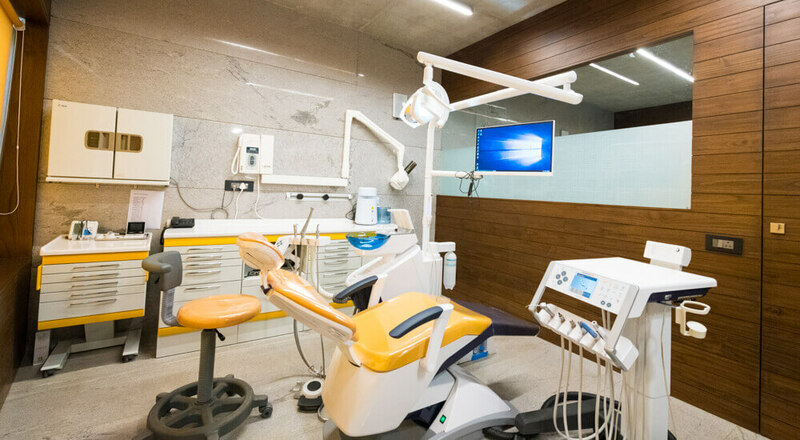 Denticare is headed by a team of dedicated specialized professionals that have a vision to bring international standards of dentistry to the Indian dental scenario at competitive costs. 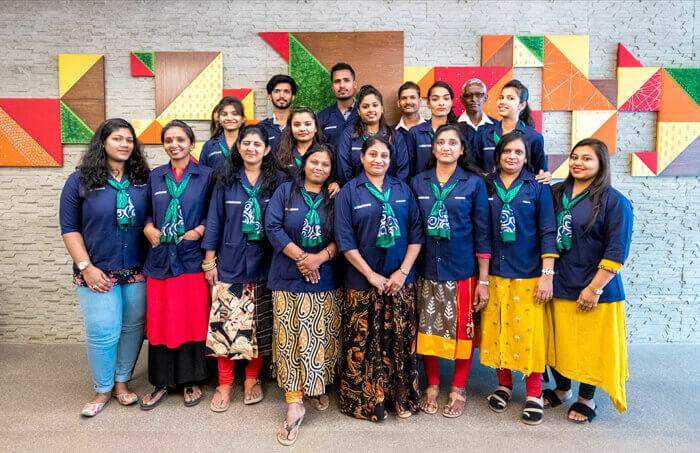 Denticare is committed to the overall wellbeing of all its patients & it strives to make a difference through the relentless efforts of its entire team. We also have a huge team of around 16 associate staff members to make your visit comfortable. Dr.Chandresh is a very well-known and famous dental personality, not only in the city of Surat but throughout the state and the country. He graduated from Government Dental College and Hospital, Mumbai in the year 1980. He has more than 38 years of clinical experience. He has attended numerous conferences and workshops in India and abroad at places such as Singapore, Germany, Switzerland, Japan, and the USA. He was the past president of Gujarat state branch and was the past Central Council Member of the Indian Dental Association for 15 years. He has organized as well as lectured at various national level conferences. 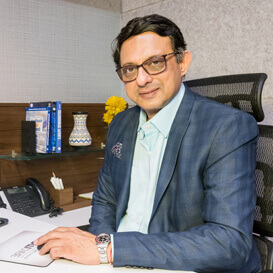 He is an accredited member and past president of the Indian Academy of Aesthetic and Cosmetic Dentistry. He was awarded the Fellowship of International College of Dentists (USA) in the year 2012. Dr. Heena graduated from Government Dental College and Hospital, Mumbai, in the year 1981. She has more than 37 years of clinical experience. She is a well -known personality in the field of dentistry. 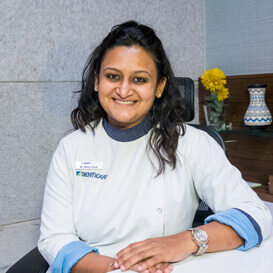 She has completed a Fellowship Program in Implant and Esthetic dentistry from Noble Biocare. She has attended various workshops in Endodontics and Implantology including sinus lift and bone augmentation procedure. 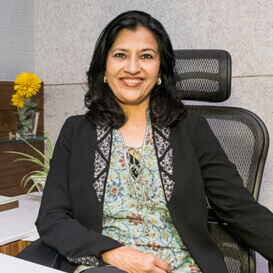 She has attended various national and international conferences including IDS at Cologne (Germany) and Noble Biocare world conference at Las Vegas (U.S.A.). She has presented various scientific lectures at various platforms. She is certified in laser dentistry. She has completed post graduate diploma in yoga in August 2012 recognized by Indian board of alternative medicine. She is a co-editor for a magazine published by Club 35+ group in Surat aiming to create awareness among postmenopausal women. She is an avid cyclist and a lifestyle consultant as well. Dr. Abhishek graduated from D.Y. Patil University, Navi Mumbai in the year of 2007. 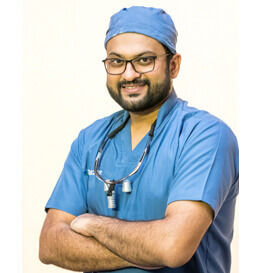 He completed his masters in Periodontics and Dental Implantology from KLE University, Belgaum in the year 2012. He was among the top 10 students in the University. He has more than 11 years of clinical experience. He is currently working as a consultant Periodontist at Mahavir super-specialty hospital, Surat. He is a Fellow and Diplomat of the International Congress of Oral Implantologists (U.S.A) becoming the youngest Diplomate in the country. He is also a Fellow and Diplomate of the Indian Society of Oral Implantologists. He is a member of the International Team of Implantologists and Indian Society of Periodontology. He is currently a Joint Secretary at the Indian Dental Association-Surat Branch. He has lectured extensively at various national level conferences. He has extensively trained in India and abroad in the field of advanced oral and maxillo-facial implantology and bone grafting procedures. He has obtained training from Dr. Paulo Malo in Lisbon, in the field of Dental Implantology. He has attended various conferences and hands-on workshops at National and International level including in Russia, USA, Switzerland, and Portugal. He is also a runner, swimmer, and triathlete having completed numerous half and full marathons, long-distance cycling events, Olympic and Half Ironman triathlons and long distance swimming events. He loves traveling and adventure sports. Dr. Parita graduated from Dharamsinh Desai University, Nadiad, in the year of 2013. She has over 6 years of clinical experience. 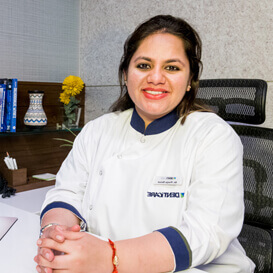 She has successfully completed the International Certificate Program in Aesthetic and Cosmetic Dentistry conducted by Smile Care, India in association with New York University, College of Dentistry USA. She has attended various conferences and hands-on workshops at national and international level. She also has had specialized training in Endodontics, Crown, and Bridge, Prosthesis, Direct and Indirect Veneers, and Smile Designing. She loves to travel and explore different places. She has keen interest in music as well. 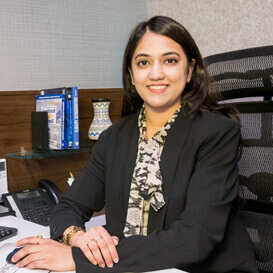 Dr. Amruta graduated from Dr.D.Y.Patil University, Navi Mumbai in the year 2010. She had more than 7 years of clinical experience and she has trained extensively in endodontics and root canal treatments. She has successfully completed “Micro-Dentistry” & “Integrated endodontic course”. She has taken special training in endodontics and restorative dentistry. 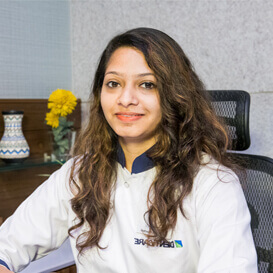 She has also successfully completed “Esthetic Dentistry “course conducted by smile care education hub in association with New York University. She has also attended various conferences & hands-on workshops. Besides practicing Dentistry she likes to Paint and has a keen liking for music. Dr. Pooja graduated from Rajiv Gandhi University of Health Science, Mangalore in the year 2009. She has more than 8 years of clinical experience. She has received special training in pediatric dentistry and her focus is on treating children. 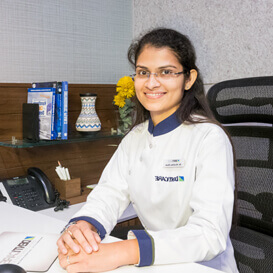 She has also done a fellowship program in Aesthetic and Cosmetic dentistry conducted by ENCODE, Mumbai. She has also participated in various certificate courses in basic endodontic, crowns & bridges, conducted by institutes all over India. 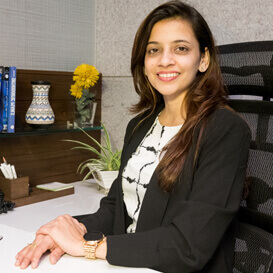 Dr. Krutika graduated from Gujarat University in the year 2012. She has completed her Post Graduation from North Gujarat University in the year 2017 in the field of Periodontics. She has attended various conferences and Hands-on courses conducted by different institutes all over India. Dr. Rashi graduated from Rajiv Gandhi University, Banglore in the year 2009. She has more than 8 years of clinical experience. Dr. Shreya graduated from Maharashtra University in the year of 2015. She has more than 2 years of clinical experience. She had participated in many certified courses. We have a huge team of well trained and qualified chair side assistants and front desk receptionists who help us in our daily work.